When BMW’s i8 first debuted as the Vision Dynamics Concept, it shocked the world. Everyone stood in awe at both the shear beauty of it and the possibilities for the future. Well, something similar is happening again, but this time it wears a Porsche badge. The Porsche Mission E, a fully electric sedan meant to take on the Tesla Model S, has just recently been announced at the Frankfurt Motor Show and people can’t stop talking about it. 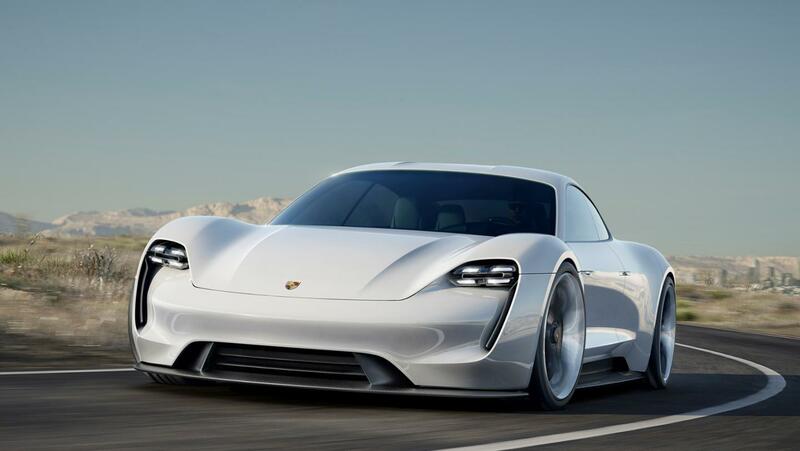 If Porsche’s claims are true, this could very possibly be the best electric car in the world when it debuts. 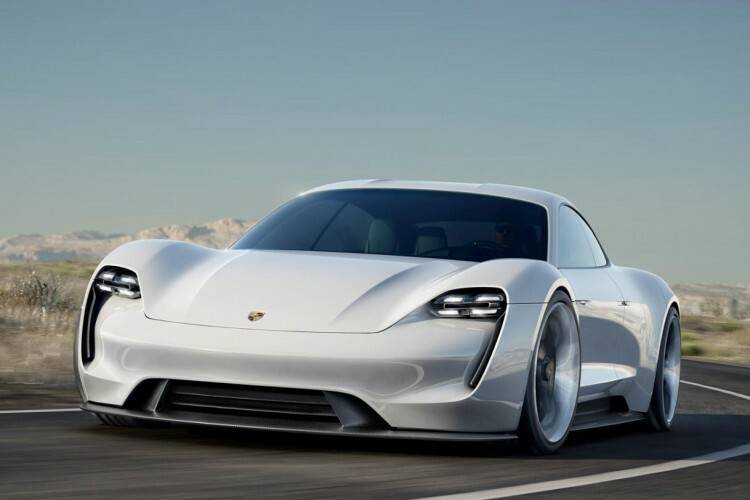 To power the Mission E, Porsche has equipped it with two electric motors, one for each axle, much like its 919 hybrid race car. These two motors are said to pump out over 600 hp and power all four wheels using true torque vectoring from each motor, which sits below the Tesla Model S P85D’s 691 hp. 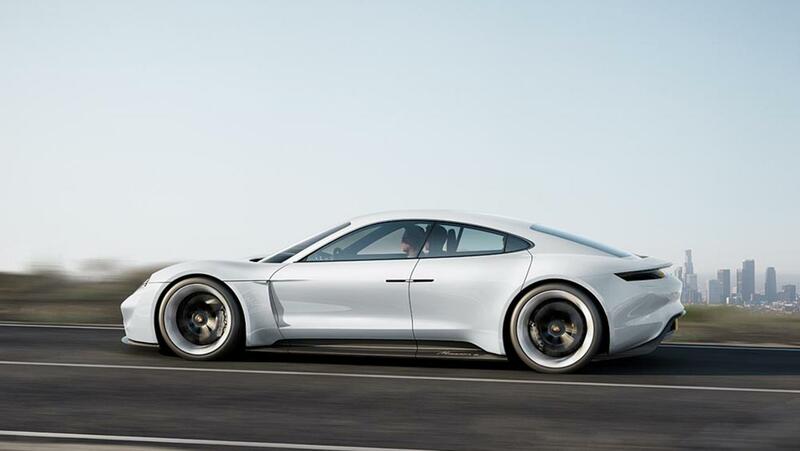 However, the Porsche Mission E has some clever tricks up its sleeve that will make Tesla very nervous. 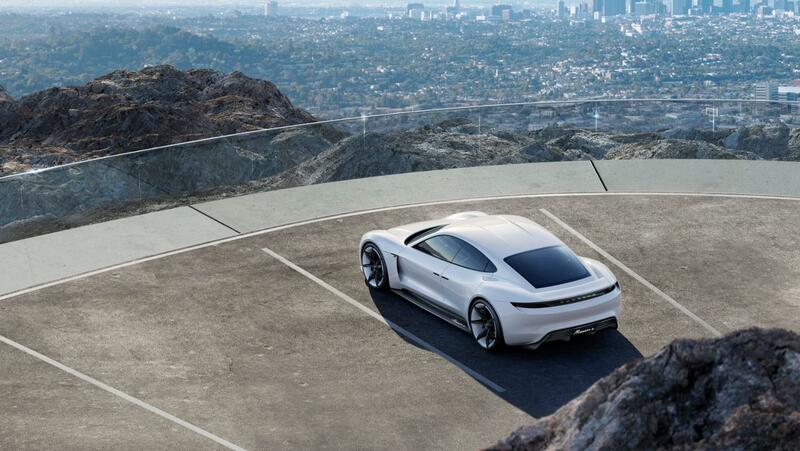 The Porsche Mission E’s claimed range is 310 miles, more than what you’d get from any Tesla, and can supposedly recharge 80 percent of its range in 15 minutes. The reason it can charge 80 percent of its battery in 15 minutes is because Porsche is the first in the industry to utilize an 800-volt charging port. Using 800 volts, as opposed to the industry standard 400 volt, the Mission E is able to charge twice as fast. It also reduced weight, as the 800-volt can use lighter gage copper cable. Obviously, such charging requires a special charging station, but the Mission E can also be charged on a standard 400-volt charging station or even through inductive charging. 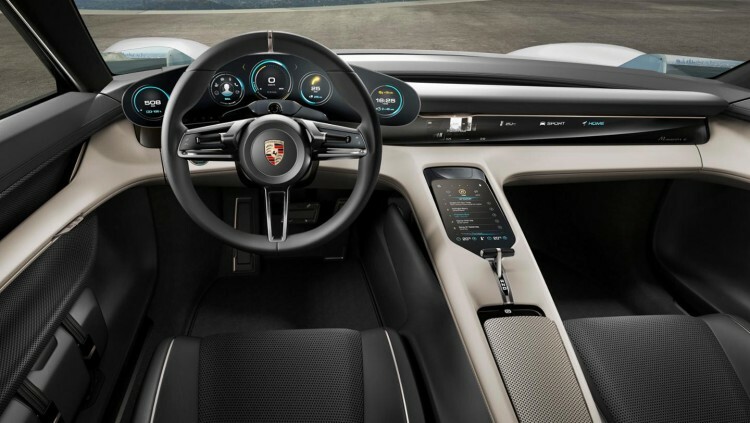 The inductive charging works by having a charging coil embedded in the floor of your garage (which I’m sure Porsche will offer, much like other home charging stations now) and you simply park the Mission E over it and it will charge wirelessly. Voila. 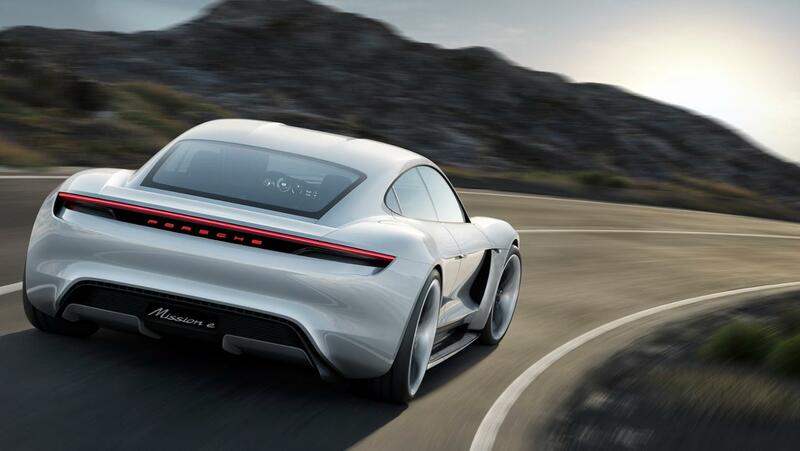 The Porsche Mission E isn’t just a high-tech electric missile with a long range, though. Being a Porsche, the Mission E still has dynamic handling embedded in its DNA. With the lithium-ion batteries running the length of the floor, between the axles, the Mission E has a low and narrow center of gravity, like an earthworm. That, combined with a lightweight construction, which consists of aluminum steel and carbon-fiber, carbon-fiber wheels and four-wheel steering, the Mission E should be the most dynamic electric car in the world when it debuts. If you doubt that, look no further than the Porsche 918 Spyder. 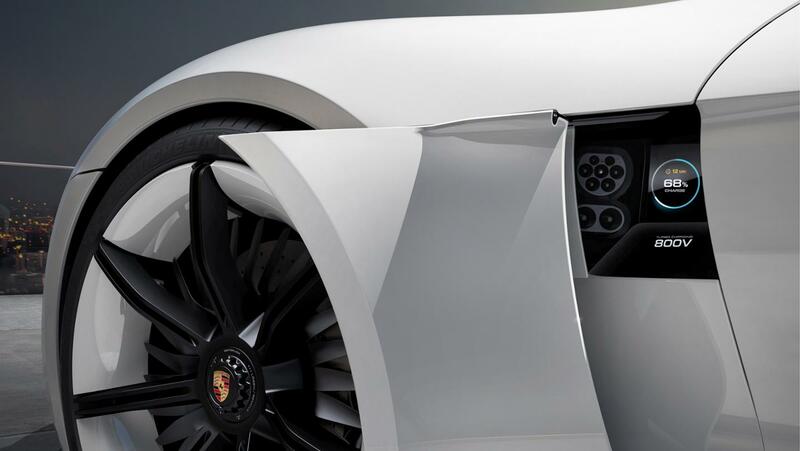 It seems like the Porsche knows how to make electric cars handle better than everyone else. This will also be one of the best looking electric cars on the road. The BMW i8, to these eyes, is still the better looking car but not by much. Aside from the i8, however, and the Porsche Mission E eats every other car for lunch and makes the Tesla Model S look like a Toyota Camry in comparison. The sleek four-piece headlights above the front air inlets and the built in rear wing above the taillights are especially good looking. This could be the best looking Porsche currently in the works. The interior is also fantastic. With what looks to be a highly futuristic version of the 918 Spyder’s interior, the Mission E uses its minimalist design well. It’s sharp and simple and open. This is definitely a cabin you want to sit in for long periods of time. 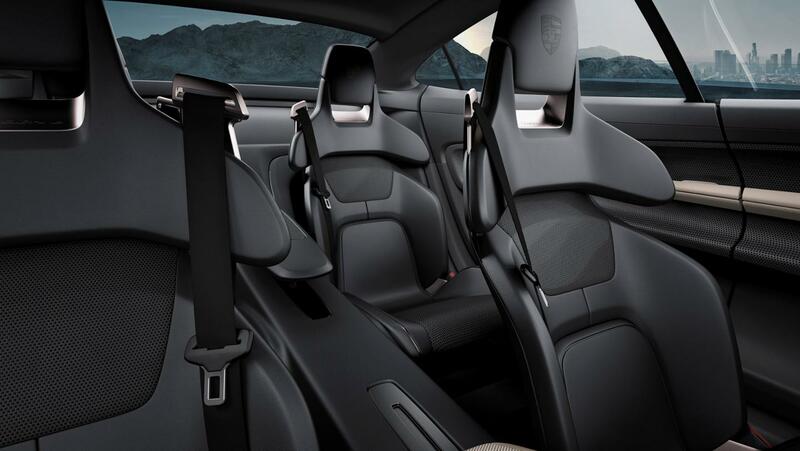 The steering wheel, gauges and seats help to give it a sporting feel as well, so you know you’re in a Porsche. 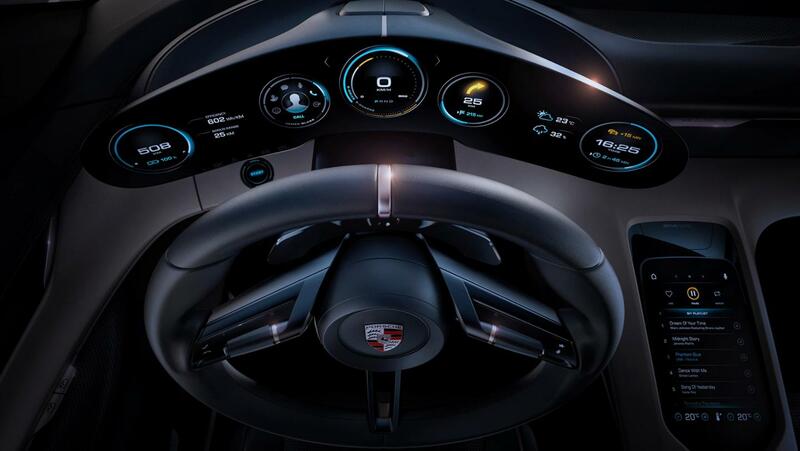 Overall, the Porsche Mission E looks to be something that frightens the rest of the automotive world, as it will be tough to top. Tesla’s Model S doesn’t seem to stand a chance as an all-around electric car. 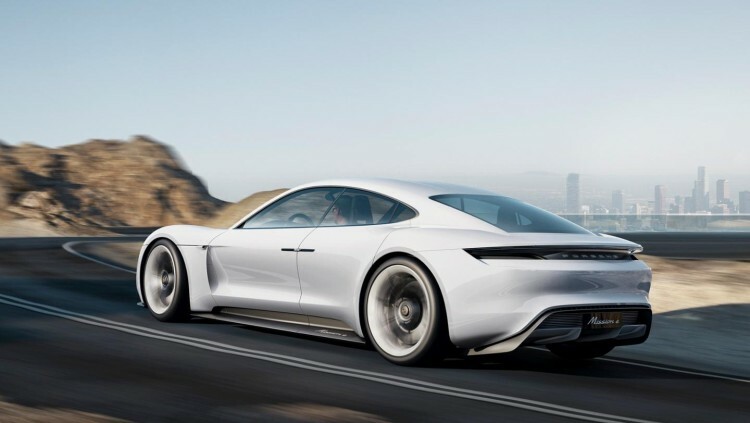 With a longer range, far faster charging capabilities, most likely better performance and far better looks, the Porsche Mission E seems primed and ready to be the car that finally takes down the Tesla Model S.